Mount Blowhard Primary School has been an integral part of the local community for over one hundred years. Our well-resourced school is set in large grounds with room for our students to run and play. We have ample play equipment, a school oval, tennis courts, a large gymnasium, outdoor seating and a vegetable garden. Inside we have four classrooms, an additional room for classes adjacent to the gym, as well as office and withdrawal space for students to work quietly with teachers. ​We are committed to providing the best educational outcomes for all students and in particular building a strong foundation in English and Mathematics. Our broader curriculum includes physical education, art and music, science, history, and a strong focus on civics and citizenship. We work tirelessly to know and understand each child and to ensure they reach their learning potential. We have an active and involved parent body with monthly Parents & Friends and School Council meetings. Parents provide significant support in all aspects of our school. 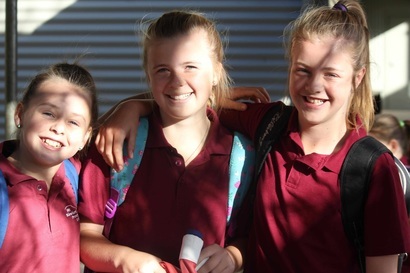 Our small school means we have developed a highly personalised, caring community environment. We truly are a country school within reach of the city – the best of both worlds. If you require additional information or have any questions please contact us. You are welcome to visit our school at any time. Mount Blowhard Primary School is committed to the safety, participation and empowerment of all children. We involve them when making decisions, especially about matters that directly affect them. We listen to their views and respect what they have to say. We have zero tolerance of child abuse, and all allegations and safety concerns will be treated very seriously and consistently with our robust procedures outlined in our Child Safety policy and in our Child Safety Code of Conduct. We have legal and moral obligations to contact authorities when we are worried about a child’s safety, which we follow rigorously. Mount Blowhard Primary School is committed to preventing child abuse and identifying risks early, and removing and reducing these risks. Mount Blowhard Primary School has robust human resources and recruitment practices for all staff and volunteers. We are committed to regularly training and educating our staff and volunteers on child abuse risks. We are committed to the cultural safety of Aboriginal children, the cultural safety of children from a culturally and/or linguistically diverse backgrounds, and to providing a safe environment for children with a disability.